This grilled cheese recipe was in a special grilled cheese article in the April issue of Food Network Magazine, and it is so good. 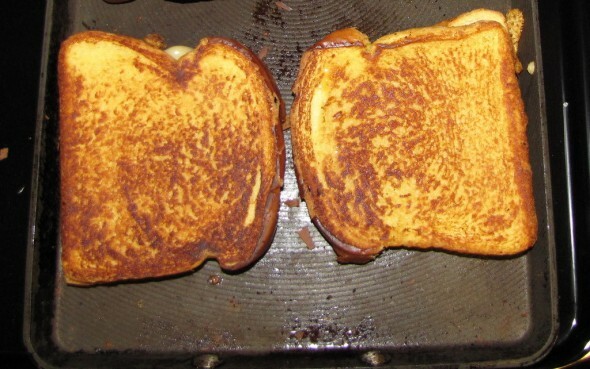 I know, I know, it’s JUST grilled cheese. 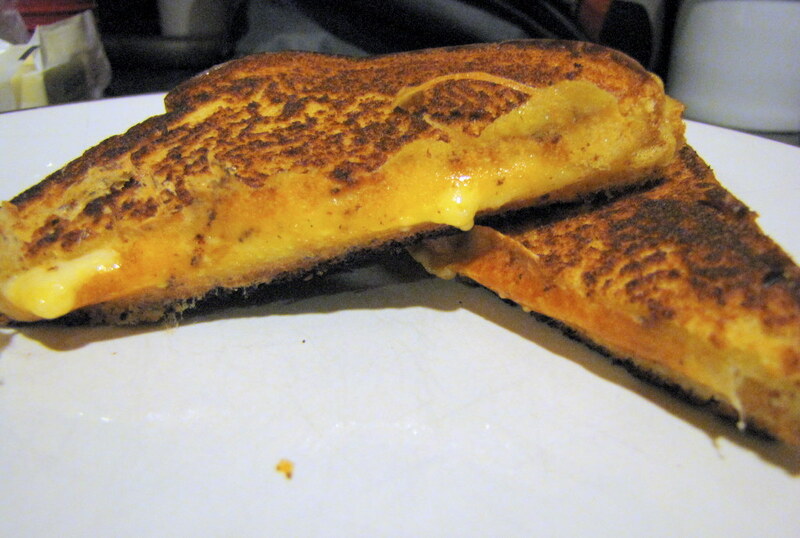 But THIS grilled cheese has 3 cheeses AND a crispy cheesy crust on the cut edge of the sandwich. 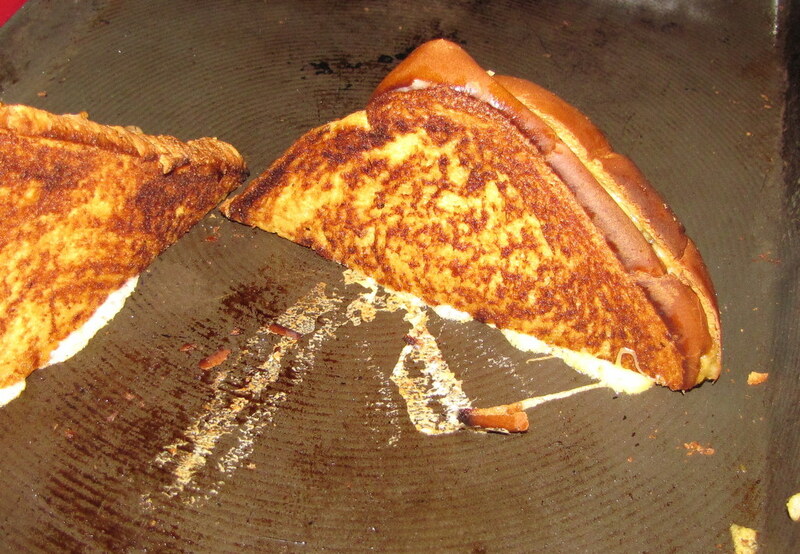 It is a genius move by Matthew Michaud, inventor of said concoction. 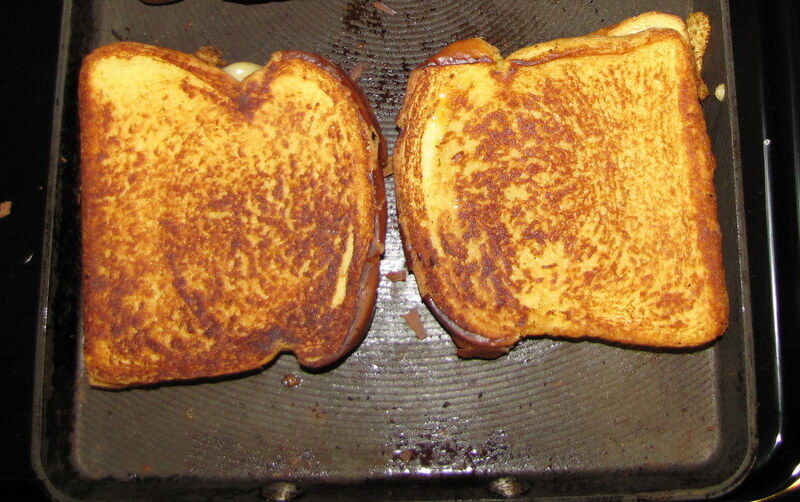 He used sourdough bread, but I just had plain old potato bread on hand. And that worked plenty fine for me. I made Creamy Tomato Soup to go with it for dinner the other night. Perfection. 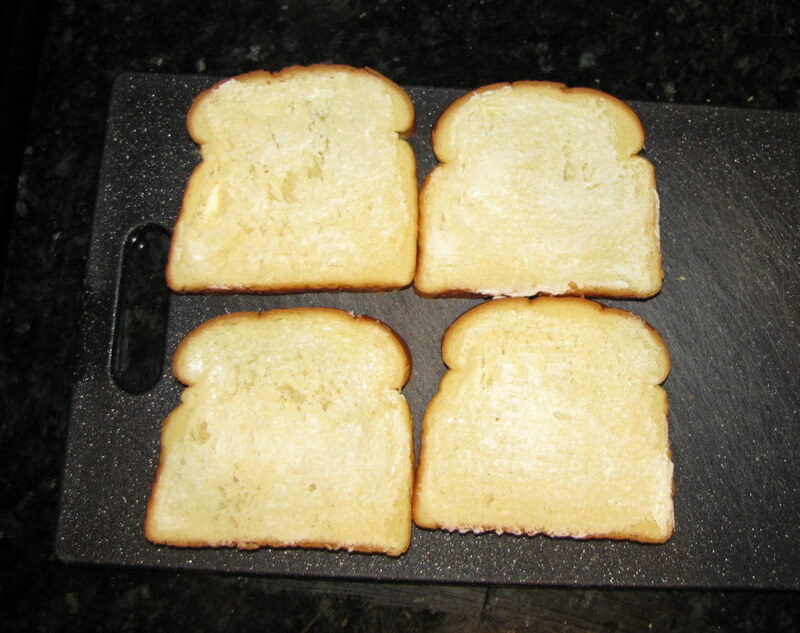 Butter all the slices of bread. 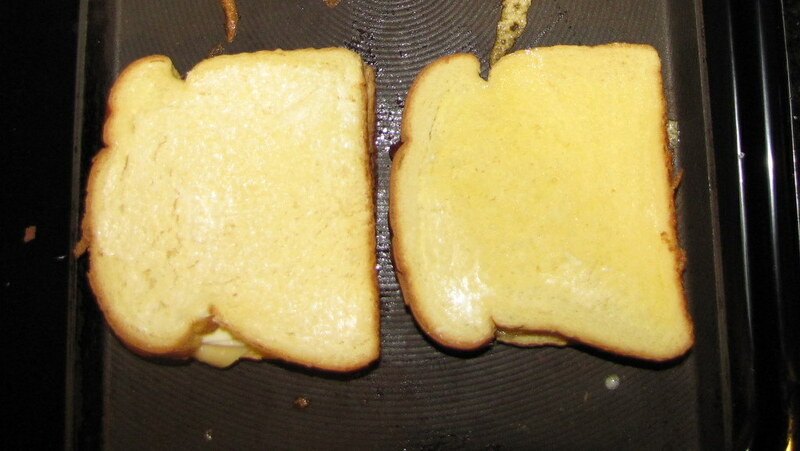 Heat a griddle pan and place the bottom halves of the sandwiches on the pan, butter-side down. Add a slice of Swiss cheese to each sandwich (I only had a block of Swiss, so mine was more shredded). 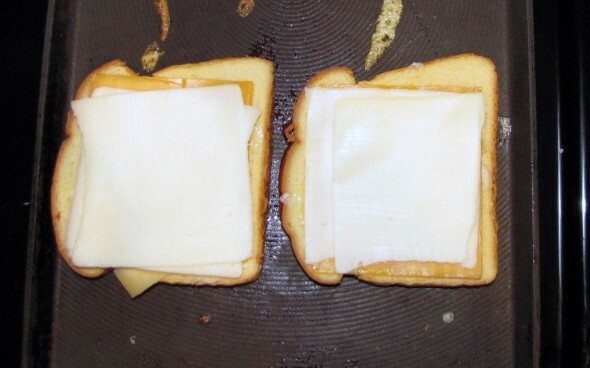 Add a slice of cheddar to each sandwich. Add a slice of American cheese to each sandwich. Confession: I doubled up on the American. Top sandwiches with remaining bread, butter side up (I didn’t do this at first and nearly ruined the whole enterprise). Grill until it looks like this. 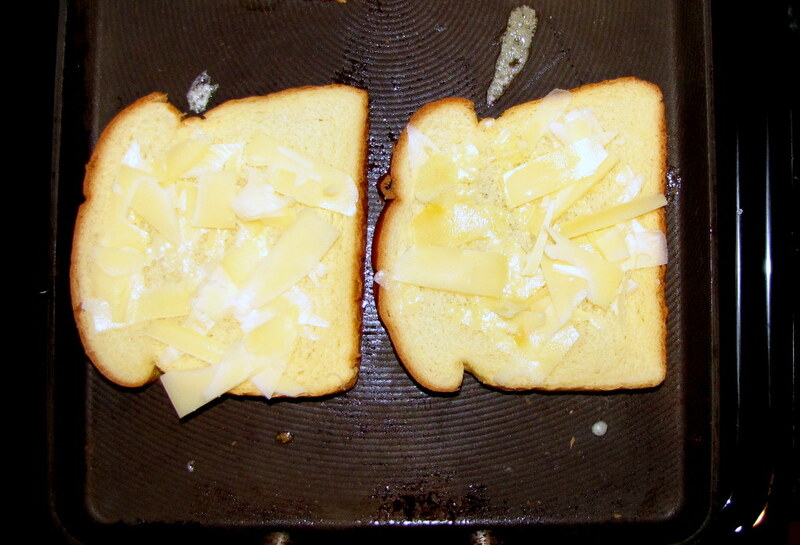 Also, until the cheese is melty. Cut sandwiches into triangle halves and put them cut side down on the hot pan to make a crunchy cheesy crust. 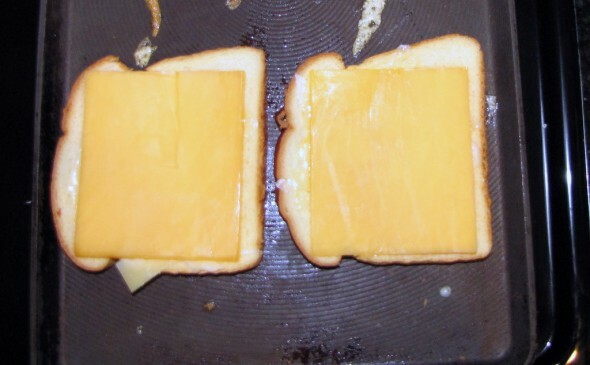 Then eat, it’s just genius.